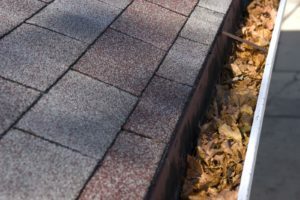 Leaves, dirt, and debris should be removed from the roof (a broom works well for this), and the roof should be checked for missing or damaged shingles or other repair issues. Hire a professional to repair any damage. Clean the gutters surrounding your roof, removing leaves and debris well before cold weather arrives. Clogged gutters can allow water to pool on the roof and ice to form, causing leaks and roof damage. Test your heating system/furnace BEFORE the weather turns cold, ideally no later than October. It is best to have your system inspected before use to evaluate it for safety and efficiency. To test your system, turn the thermostat to HEAT and allow it to complete a full heating cycle, from turning on and blowing hot air through the vents to shutting off the blower again. The cooling system, no longer needed during the winter, is easily neglected during the colder months. 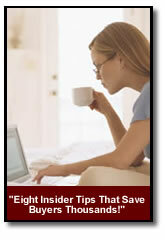 Taking steps to winterize it may extend the life of your air conditioning system. Remove window units and store them for winter, or cover permanently installed units. To winterize an outdoor air conditioning condenser, clean the fan blades and coils with a pressure washer or hose, and then cover the cleaned unit with a waterproof (but breathable) cover made for this purpose. You might want to have a professional open the unit and turn off the disconnect switch first, which will prevent the unit from accidental use during the winter. Turn off the water supply to exterior faucets and drain them in preparation for winter. Reverse your ceiling fans to circulate the warm air that rises and gathers near the ceiling. This pushes the warm air down to heat the lower areas. Change the batteries in your smoke and carbon monoxide detectors, and test each detector to make sure it operates properly. This is crucial for winter safety, as heating units and fireplaces can be potential hazards. Open your heating vents, and replace damaged or loose vents. Finally, you want to prepare the outside of your home for winter as well. Winterize your sprinkler system by turning off the water supply and then blowing compressed air through the lines to clear them of water and prevent them from freezing. Drain the gas from your lawn mower or run it until it runs out of gas. Cover patio and outdoor furniture and seal decks and porches, when needed. Rake leaves away from your home’s foundation, and remove debris from window wells. Apply caulk or foam insulation to gaps and holes in your exterior walls, particularly around pipes or wires. Trim branches, particularly those overhanging your home or electrical wires. Store wood at least 20 feet from your home and cover with a plastic tarp. Disconnect garden hoses and drain them before storing for the winter.